The Fort Wayne Museum of Art dates to 1888 with instruction at the Fort Wayne Art School in the West Central Neighborhood. In 1922, Theodore Thieme, a local businessman and art collector, donated his home, 10 paintings, and funds to establish the Fort Wayne Museum and Art School. In 1977, the Museum separated from the Art School, and in 1984 constructed a 40,000 square foot building that provided space for exhibitions, programs, and collections management. In 2007, FWMoA launched a $7.5 million capital campaign to expand the building and grow the permanent collection. Completed in 2010, the project transformed the museum by adding 10,000 square feet to increase service capacity. FWMoA is now able to implement the vision to be the cultural catalyst of the region and more effectively fulfill its mission to collect, preserve, and present American and related art to engage and educate broad and diverse audiences throughout the region, and add value to their lives. We are committed to providing people throughout the community and the region with exhibitions of the highest caliber, meaningful and engaging community events, and on- and off-site educational programs that increase people’s understanding and appreciation of America’s visual arts. Fort Wayne Museum of Art is funded in part by Arts United of Greater Fort Wayne and the Indiana Arts Commission. Fort Wayne Museum of Art is accredited by the American Alliance of Museums. We are proud partners of Arts Campus Fort Wayne, an area of downtown brimming with arts and cultural activities throughout the year. 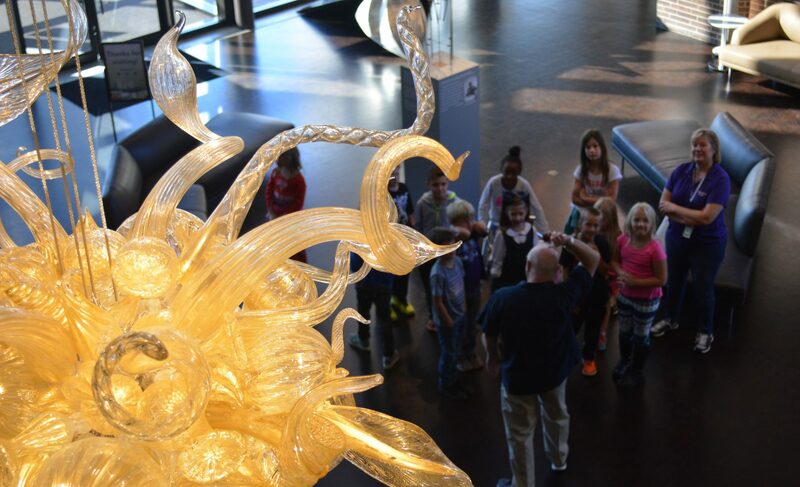 In 2017, FWMoA received major support from the English, Bonter, Mitchell Foundation, the Foellinger Foundation, Lincoln Financial Foundation, Steel Dynamics Foundation, and Wells Fargo Foundation through grants that increase our service to the community and develop organizational effectiveness.